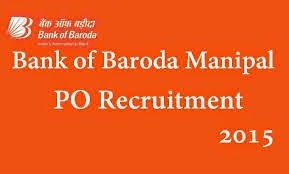 BOB PO Previous Question Papers PDF Download - Bank of Baroda (BOB) has came with latest recruitment notification to recruit to recruit 400 Probationary Officer (PO) in Junior Management Grade/ Scale-1 posts (Baroda Manipal School of Banking One year PG Diploma Course) . Who are eligible and interested them can apply online mode by visiting official site of Bank of Baroda before last date. Candidates also check other details related to Bank of Baroda PO Recruitment 2015 like exam syllabus, online exam question pattern, interview date, how to apply, selection process, age limit, salary, and more details are given below. Aspirants who are trying to get a job as PO in Bank of Baroda they must and should check previous question papers, syllabus, question paper pattern for best score in the written test. Here i am sharing 2008 question paper pdf, you can download by clicking on it. Where do I get the answer key for BOB PO Exam 2011? ?